Yesterday we reported about DeUHD, a tool of which the developers claim it can rip Ultra HD Blu-ray discs. A license for the software is sold at €199 (about $235) and a free trial of the software allows ripping 8 – 10 minutes of 1 disc. Now five users can obtain a free license. Unfortunately there has been no proof so far online that shows independent users who have successfully used the software. To back up the claim that DeUHD indeed rips Ultra HD Blu-ray discs and to lower the bar on the €199 price, Arusoft will provide a free license to the first 5 people that can prove they own both a supported optical drive and a supported Ultra HD Blu-ray movie, and post the result on our DeUHD Forum. To prove that you have a supported device and a movie that is on the list of supported movies please send a screenshot of Windows Device Manager and a picture of the box/disc of the movie you own to Arusoft through their contact form. You can use e.g. Firefox Send to send them the pictures, but you can also add them to a post on our DeUHD Forum. If you eligible for a free license, Arusoft will contact you and provide you with a free license for DeUHD which you can use to test their software on your Ultra HD Blu-ray movie. In return, the company wants you to post your experiences in a thread on our DeUHD Forum. If you need help to register or posting, contact us here. P.S. We only allow you to test this on movies you own. We want to independently verify the claim from Arusoft because we believe it’s big news if it works. We recommend users to check the law of their country whether this software is legal for them. Update: The first user has reported success with the software. Check out his experiences here. 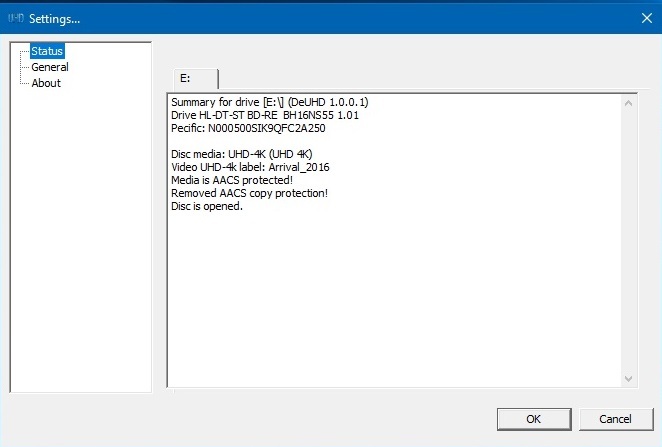 Russian company releases ‘DeUHD’ to remove copy protection from Ultra HD Blu-ray discs – AACS 2.0 is broken, try for yourself!